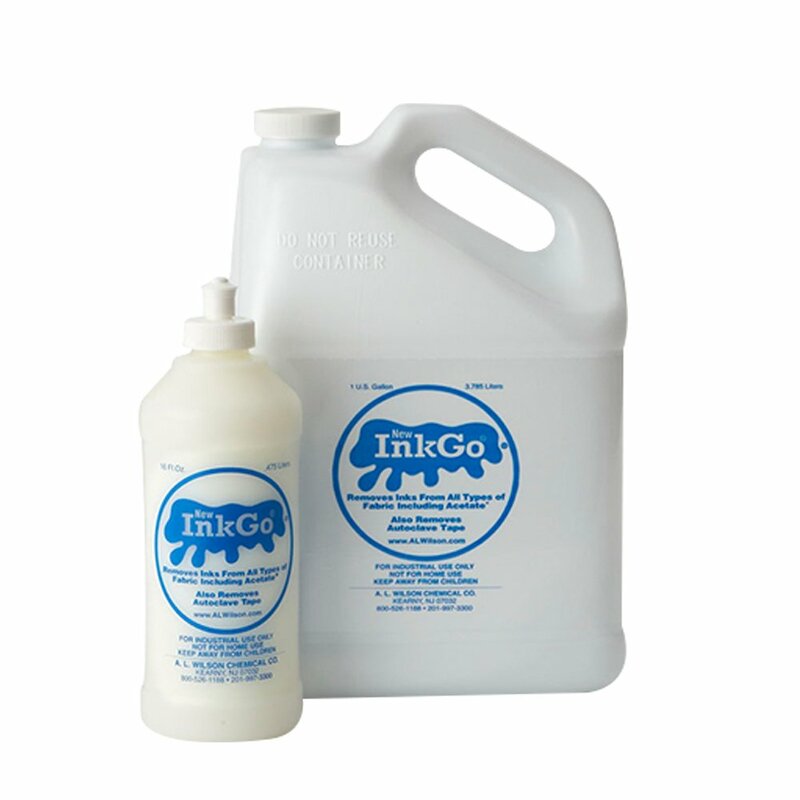 InkGo has been reformulated to remove its odor and to improve its performance. InkGo removes all types of ink from all types of fabric, including acetate. InkGo also removes Autoclave Tape and Adhesives. InkGo is odor free and environmentally friendly. It's biodegradable, contains no chlorinated solvents and meets the requirements of California Prop-65 and 2013 V.O.C. regulations, and is non hazardous for shipping. InkGo is used on a spotting board and flushed out with wet steam, or is applied directly to stains and then washed out with hot water.